There are so many spinners that can be given to relatives, friends, employees, corporate giveaways, etc. "Thank you for your hard work and support throughout the year and may this sun symbolize your successes as it reflects the light around you and your family"
"Our strength is within our beliefs and in the freedom we share under the stars and stripes of this country"
"Our family is like the rose in which we are thornes to protect ourselves and keep our love for one in other surrounded by our hearts"
"As we stray in many directions to seek a better understanding of our business, allow this compass to always guide you to success"
"Your universe is very complex, yet visible by many near and far. People see your efforts and appreciate your contributions"
"We have experienced many rough seas over the last year and you have weathered the storm. We all need to pilot the ship to achieve success. 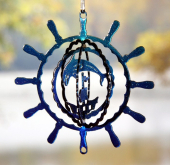 Please allow this ships wheel to symbolize your ability to stay on course"
Theme Parties Could be any spinner. The spinners above are Miney's. Any spinner we have can be given as a gift, or just a way of saying THANK YOU!!! Unlike a bottle of wine, our Wind Spinners are viewed as beautiful items that can symbolize many things. 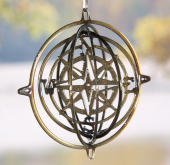 In the workplace, a wind spinner is viewed and looked at many times which will keep the reason for receiving it in the back of the recipients mind. A bottle of wine lasts typically one sitting and you know what happens next. 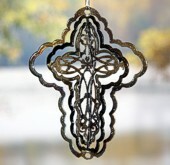 Beautify your home with these incredible Wind Ornaments. 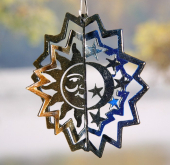 Metal 3D WindSpinners provides a full line of these unique ornaments. Displaying any of our products will immediately increase the beauty of your home. 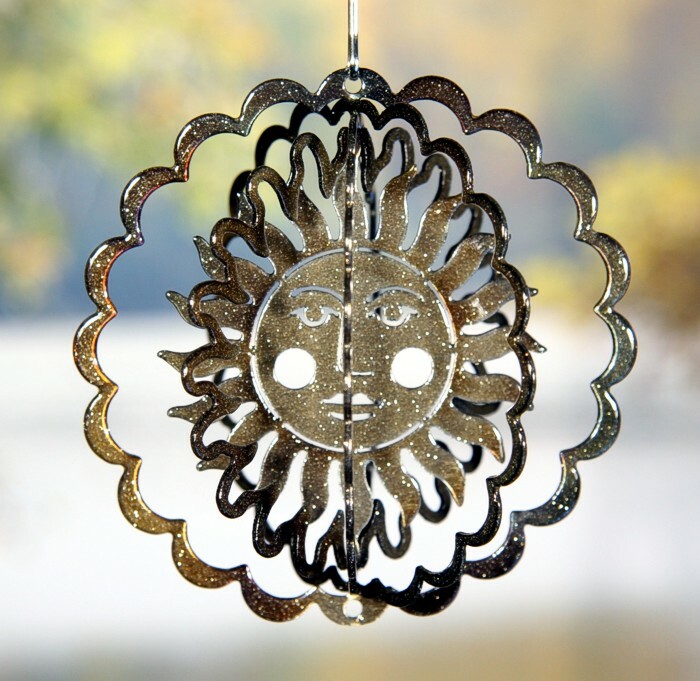 These metal wind spinners make unique gifts and awesome garden ornaments. 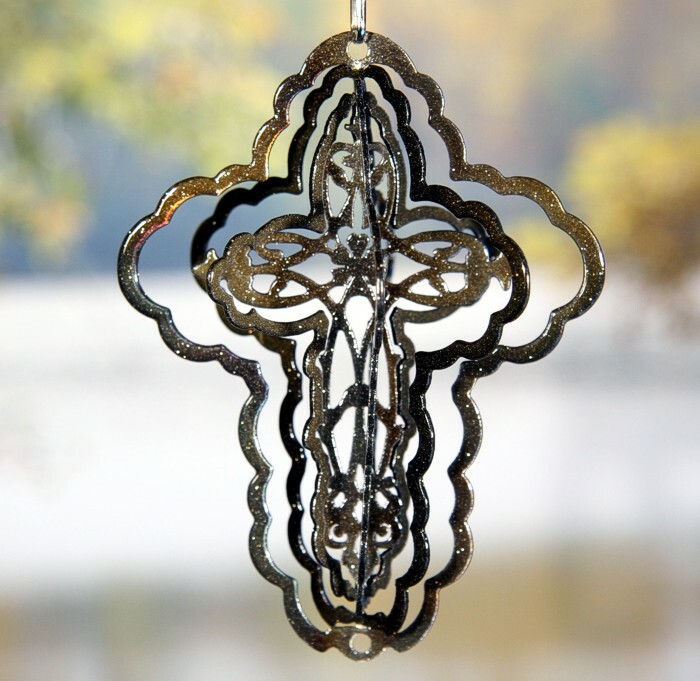 They will look great on your porch or deck in several designs including 3D. 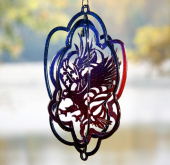 We stock a wide variety of styles, designs, and colors to satisfy everyone's preference. These are quality products that are backed by warranties directly from the manufacturers. The reflectivity of light from the sun as well as electric lighting shows an amazing pulsating effect. As they spin in the wind outside or by motors we have available for indoor use, they are sure to catch everyone's eye. 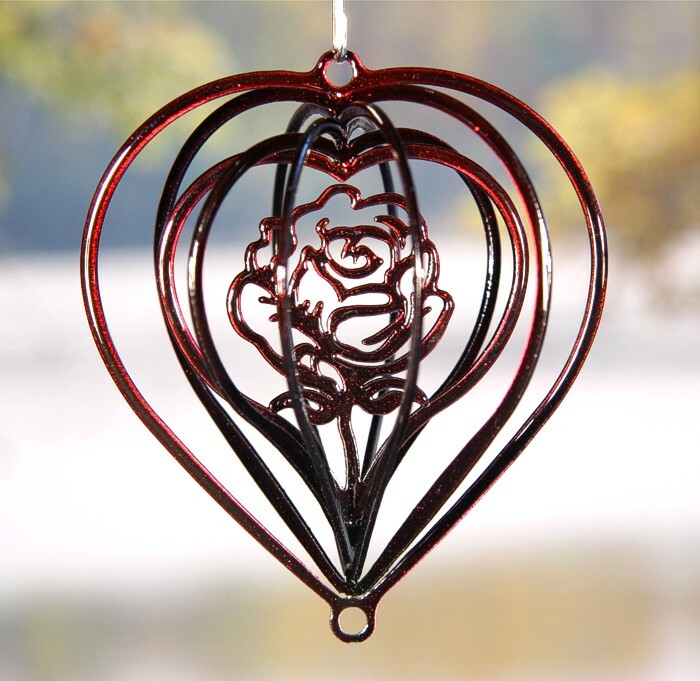 3DWindSpinners carries many metal spinning ornaments. If you don't see the Spinner you want on our site, contact us and we will inform you with price and availability. 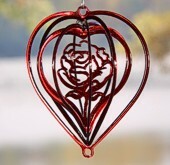 If you are looking for unique gifts for a family member or a friend, these products are beautiful, different and new. 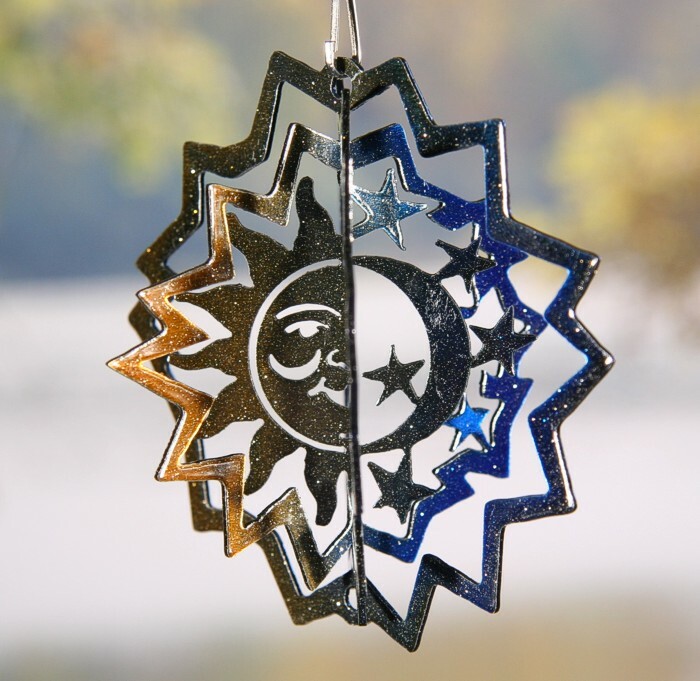 If you are looking for unique gifts, these wind spinner ornaments are your answer. If you want to emphasize the beauty of your garden, these 3D wind spinners make awesome garden ornaments. Don't know what to get the person who has everything? 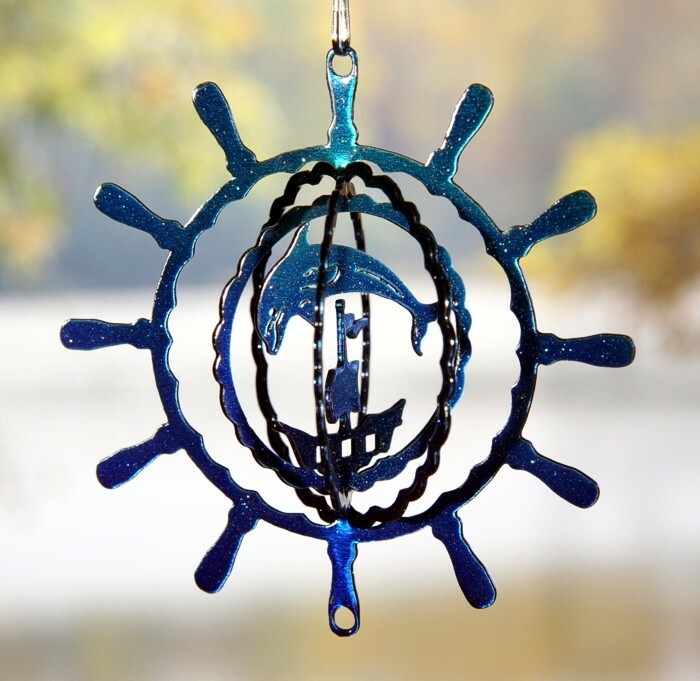 Our wind spinners make unique gifts and are relatively new to the market. 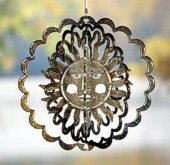 Our metal wind spinners can be placed inside or outside and will surely be a conversation piece. 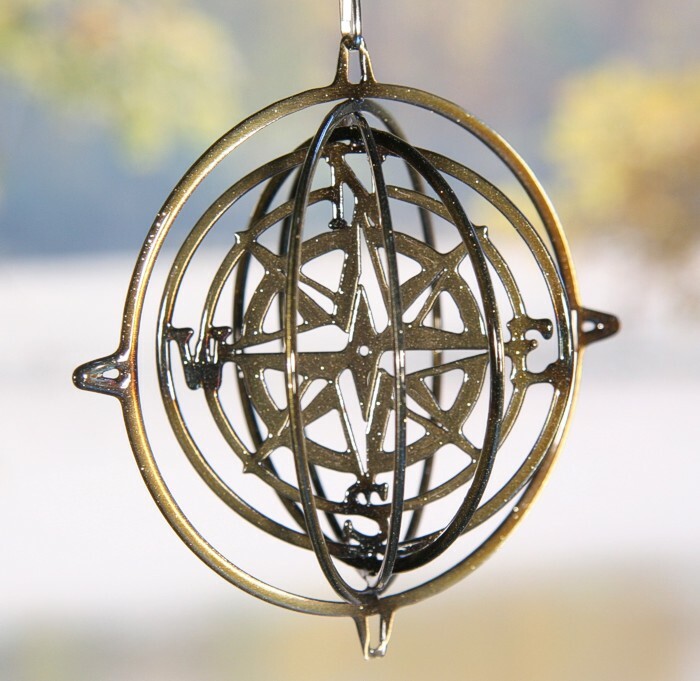 Our Metal wind spinners are constructed to last a long time. Place them in your yard. Metal wind spinners are the talk of the neighborhood. Your neighbors will be asking where you purchased your windspinners, be sure to tell them 3DWindSpinners.com where we have satisfied thousands of customers.